Hello everyone! Sorry I kind of fell off the earth this week. I have been so super busy. I am sorry for neglecting my blog but I am getting it together! I am revisiting the mermaid mani today. I tried the mermaid mani for the Princess Challenge. I said I wanted to try it with a green color and today is the day! I wanted to matte this so bad but it looked horrible. I only matted two fingers before I changed my mind. All the holo goodness was lost when the matte top coat was applied. So glossy it was! I think I like this color combo more than the first one I did. The China Glaze polish is yet another untried. I love it though! Very pretty polish. Stay tuned the next few days I will have a small giveaway. Not sure how I will do it yet so any ideas will be appreciated. I will not label it giveaway in the title line it will just be with a mani. I am still deciding on what to add with it. I can say the new Konad plate m100 will be in the giveaway. I purchased two when I purchase mine and I will share with you guys! I have quite a few polishes I love that I want to share as well! 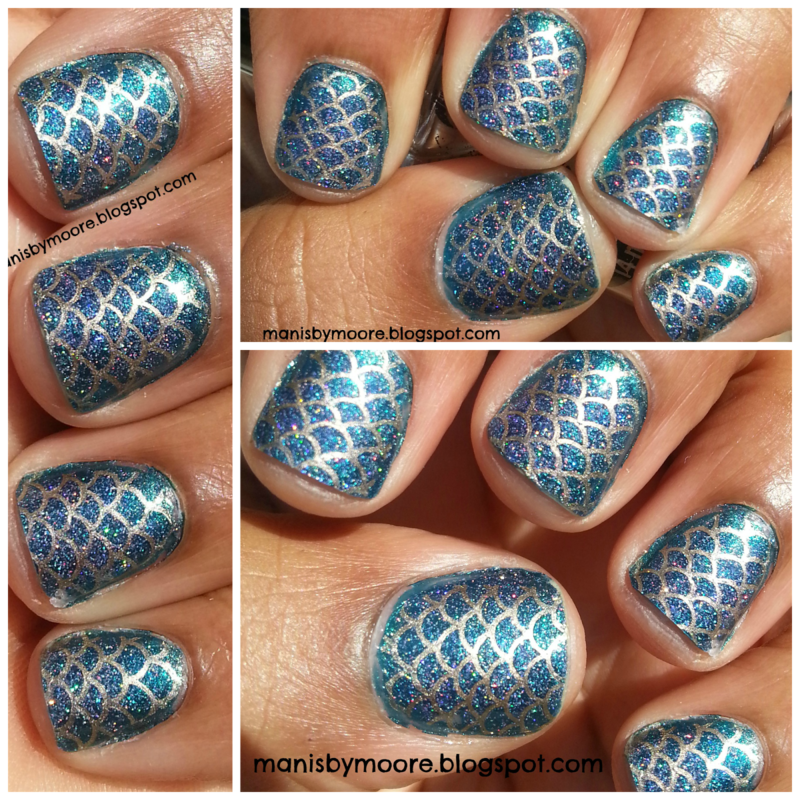 What are your favorite colors for mermaid tail manis?? Thank you so much for stopping by! This nail art looks lovely! Thank you so much!! 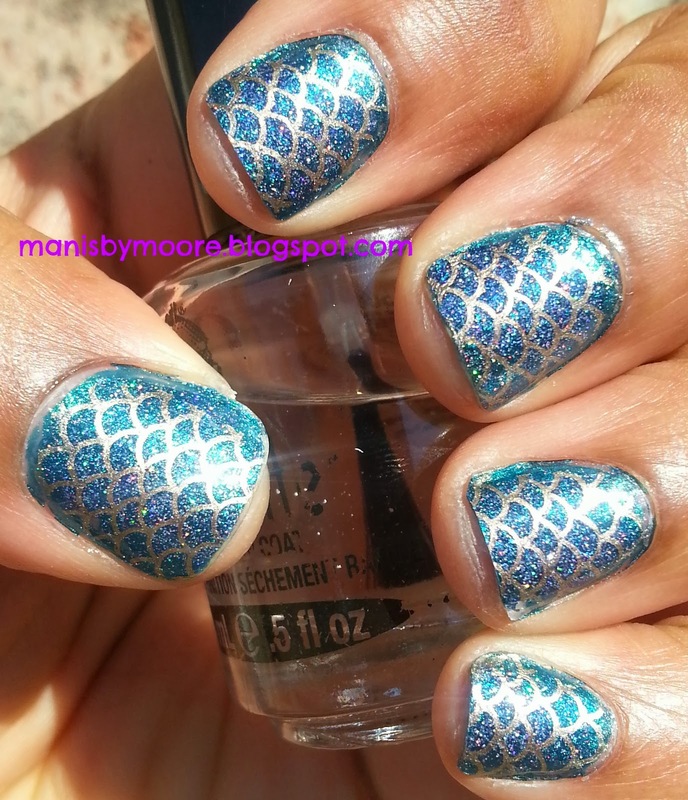 I would love to see the mermaid tail on your long beautiful nails! These look beautiful -- I love the combination of silver and blue holo!